1 April is, understandably, an important date in 2017 for Public Sector IT and procurement teams. On this date, resource requirements will have been reviewed, projects assessed and budgets for the following 12 months allocated. Public Sector ICT teams who haven’t used up their piece of the budgetary pie before the year rolls over will almost certainly experience cuts in the months to come. This can not only hinder projects and plans, but also a teams’ ability to work with the most advanced, future-ready technologies to help achieve wider organisation objectives. To avoid losing out in the next financial year, it’s crucial to finish the current one in a strong position. That means utilising budget, shifting projects on the back burner to the front, and working with providers to get new, leading technologies in to the organisation. 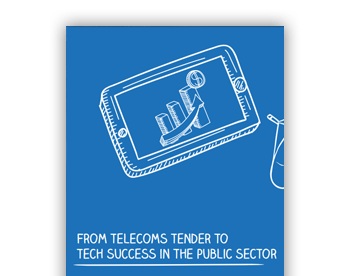 To ensure a good end to the financial year on 31 March, there are a number of things Public Sector ICT leadership teams should consider as they approach the end of the year. Government digital transformation has been fast moving over the past few years. New technologies and initiatives are constantly being introduced at every level of the Public Sector. For Public Sector IT teams, this means it’s essential to be aware of the telecommunications trends that might affect their particular area of operations in the future. Over the last few years, one of the biggest telephony developments has been the increasing shift from ISDN to IP-based alternatives. With Government agencies feeling the pressure to maintain a costly traditional fixed infrastructure whilst delivering increased cost-savings, the need for robust and cost-effective alternative solutions is becoming increasingly clear. And, as ISDN alternative SIP trunking continues to become more feature-rich and easy to implement, it offers Public Sector organisations with IT budget remaining a real opportunity to drive tangible benefits into their organisations into the next financial year and beyond. So how much money is left in the pot? As mentioned before, any budget not used by the end of the financial year will not only be lost, but might also affect next year’s budget allocation. To avoid that happening, it’s important to look at the remaining budget and think about what telephony projects and improvements it can finance. Even if there’s not enough available for a whole new project, it might be possible to begin a phased roll out of next generation voice services, starting with individual departments or offices. It’s useful to look at plans and projects that have been in development for a while, but never started. With minimal capital outlay, and significant cost savings to yield, it is easy to build a strong business case for infrastructure refresh projects like SIP. And by looking at where updating technology could potentially make a difference in each department, IT leaders can take action now, rather than in a few months. That might mean putting tenders out on appropriate frameworks. Or even engaging with providers who have the best-fit solution for the department. The key is to get started as soon as possible. Projects don’t have to be complete by 1 April, they just need to have commenced. So, even a large-scale telecommunications initiative can begin as close to the deadline as February or March, but the wheels need to be put in motion sooner rather than later to ensure the benefit is felt. To get the financial year-end right, IT Directors need to get budget allocated and projects started, ensuring that the technology they are sourcing is right for their department and the public who depend on them.